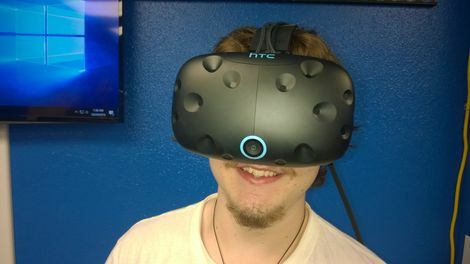 Eugene's first, full on, virtual reality (VR) arcade, where you can experience the newest in gaming entertainment. 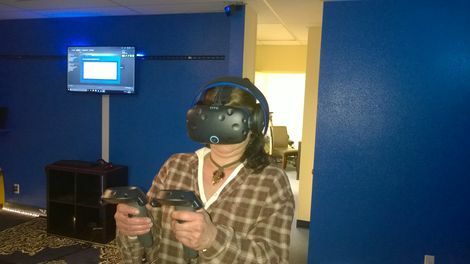 The downtown location on Willamette allows visitors to come in and play VR by the hour and truly experience gaming and immersion at its best, in a family friendly enviroment. Daily updates can be found on facebook. The multiVRse REWARDS CARDS are digital. Show the card from your mobile phone and get points towards FREE SESSIONS or GIFT CARDS. It's like a punchcard, only cooler! Wow! This thing is intense! 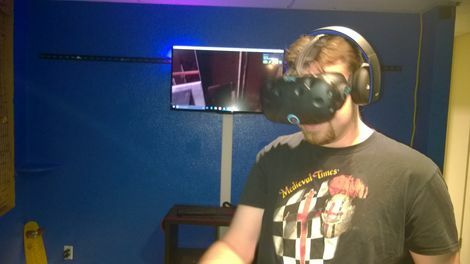 Stepping into this level of VR for the first time was definitely one of those "OMG" moments that leaves you a bit speechless. Emily didn't scare me, I don't care what they say! To hard to explain ina few words though this is awesome. Oh and I finally beat QUICK DRAW! 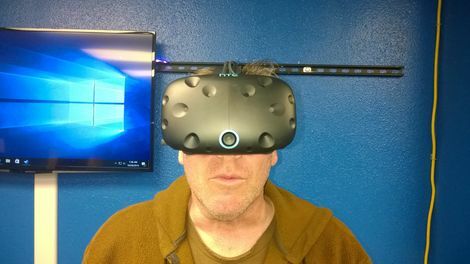 If you were like me, you might be a little hesitant about tech like this, because you tried a GEAR VR, or think 3d desktop gaming and 3d movies are kinda of cool. Get that out of your head right now. This is COMPLETELY different. This is an experience to share. My friends are totally blown away. I'm inviting my MOTHER! GASP! That never happens! :) She used to be an avid scuba diver but can no longer dive due to health issues. Next week I'm taking her scuba diving at multiVRse! 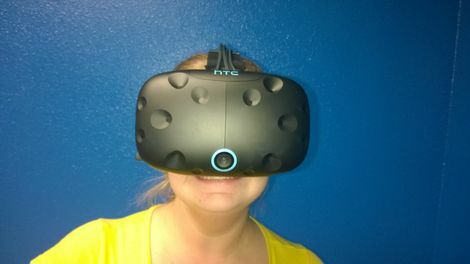 Great virtual reality experience. The interactive team work was amazing! Highly recommend for friends or corporate team building. The staff was so nice and accommodating to our time constraints. 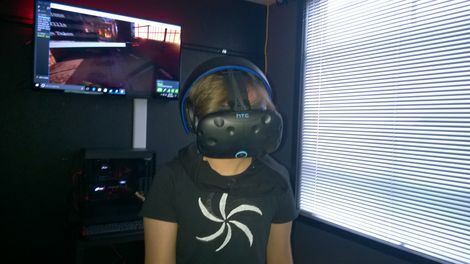 Thanks for a memorable experience ExitusVR! 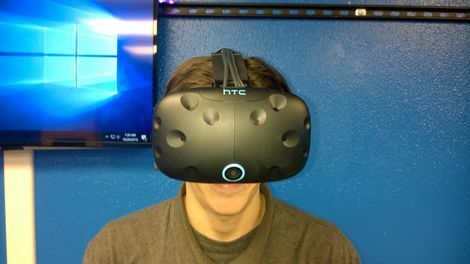 The Best Virtual-Reality Experience So Far. The freedom of movement and interaction with the game is astonsihing. Me and my 8 year old son stopped in last night and checked it out. We were out shopping and just came across the store and thought we would try it out. My son had a great time! The staff was amazing. They were friendly, helpful and patient. They have a lot of games and my son wanted to try a lot of them. They switched him around on different machines and different games whenever he wanted and they did it with a smile. 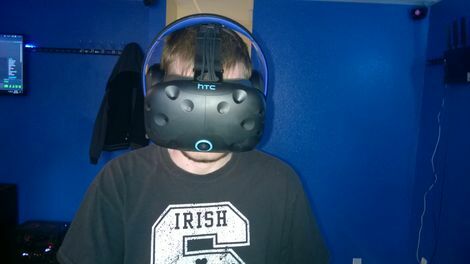 I tried the racing game and it was very cool. We will definitely be back. A great time for the entire family! 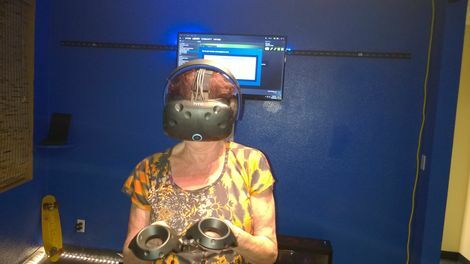 They had VR for my 7 year old non-gamer grand daughter, my 12 year old gamer grand son as well as myself. We will definitely be back! Brought 10 adults in for a holiday party and had a blast! Everything was well organized and was impressed with the variety of games and willingness of the employees to be as helpful as they were. I highly recommend !!!!! We will let you in on our deals and events. You want to know when new gear or games come out right.  2019 will be a great year for VR gaming.